It seems that in warmer weather people like to work on their yards and decorate a little more than when it's cold and snowy. I received something that can be outside year round, good weather and bad , and be just as beautiful , no matter rain or shine. 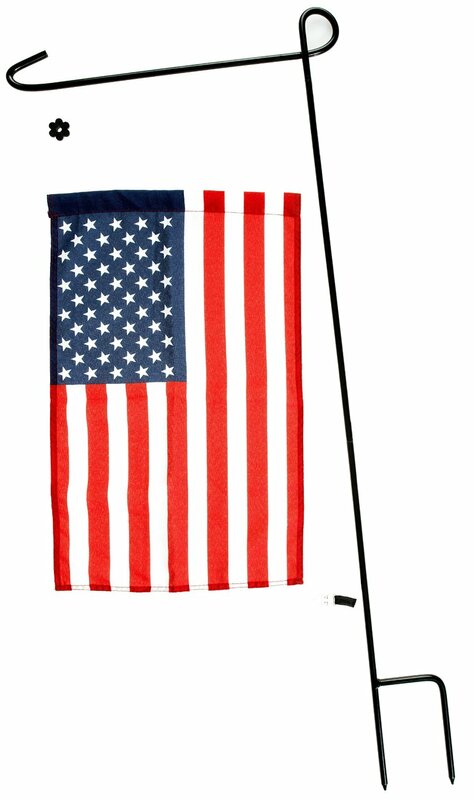 Sturdy Metal Flag Stand + American Flag by GreenWe is perfect for a small yard, in a flower bed, or even in a large potting arrangement. Anywhere you want to let your patriotism show. It's so easy to set up, and the stand has an "h" bracket for extra sturdiness. The stand is made of 8 mm wrought iron with a coated finish. 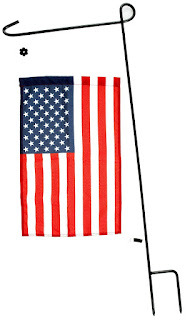 The flag is made of unfadeable polyester. There is a rubber stopper and an anti-wind clip that keep the flag steady even when it's really windy outside. I really like this flag stand and flag, now I can let "Old Glory" wave her beautiful colors in my front yard for years to come. I received this product for free in exchange for my honest unbiased review.